Known for bringing post-rock stalwarts like Tortoise, Mono and Toe to China, Chengdu-based promoters New Noise have racked up a loyal following that routinely sells out their shows. It’s allowed them to introduce lesser-known acts to China like Australia’s Sleepmakewaves, who return with a nine-city tour that stops off in Shanghai (Mar 10 @ MAO Livehouse), Beijing (Mar 11 @ Yugong Yishan), Guangzhou (Mar 17 @ T:Union) and Shenzhen (Mar 18 @ B10). Bassist Alex Wilson appreciates the love and the band hopes to make it reciprocal. Their upcoming shows will be the first to celebrate their newest disc, Made of Breath Only. With a sound they dub ‘crescendo-core’ for its mix of disparate influences like metal, progressive rock, indie and electronica, Wilson promises that Made of Breath Only will be “dark and brooding” compared to their last disc. “Made Of Breath Only describes how so much of what we experience is fragile and fleeting,” he explains. “We came to this idea because of personal experiences we had in the two years following Love of Cartography and a bit of a preoccupation with water, ice and the cold." Once again, the group convened with producer Nick DiDia (Pearl Jam, Bruce Springsteen) in his Byron Bay studio. However, Wilson admits, “The creative process wasn’t so easy this time around as we’re pursuing both sides of our approach more fully than before." However, Wilson beams about the final result and the group’s unlikely journey. 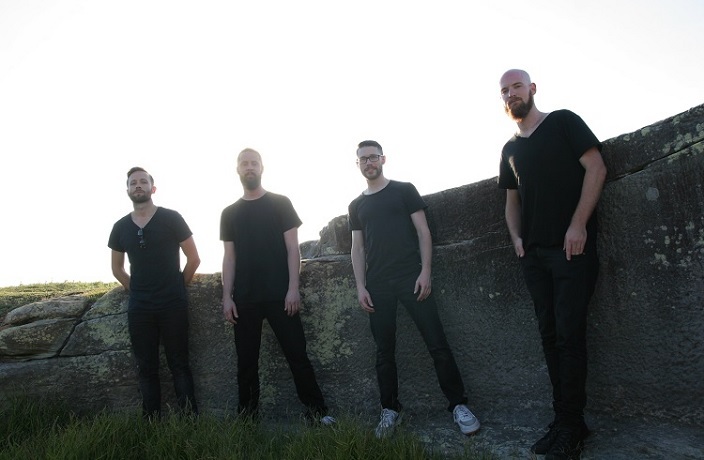 The group formed in 2006 after he and guitarist Tom Binetter responded to a MySpace post made by guitarist Jonathan Khor looking for members to start a new post-rock project. He admits there “were just a handful of bands when [they] started out,” but the buzz generated from their electric live show led to plum opening spots for Mono and Boris. “We rely on the chemistry and communication between the four of us on stage,” Wilson says. “We don't jam and prefer to play tight, but I believe the songs take on a new kind of life from being performed in the moment." While Binetter and Khor have since left the group, Wilson promises Sleepmakewaves’ passion remains the same. Shanghai: Mar 10, 8.30pm, RMB120-150. MAO Livehouse, see event listing. Beijing: Mar 11, 8.30pm, RMB120-150. Yugong Yishan, see event listing. Guangzhou: Mar 17, 8.30pm, RMB80-100. T:Union, see event listing. Shenzhen: Mar 18, 8.30pm, RMB80-100. B10, see event listing. Looking for a family-friendly activity to do this weekend? Catch his set at Dada on Friday April 5. One Starry Night: Out of the Blue is the perfect way to introduce your kids to the world of art, music and culture. The renowned a cappella group is headed to Shanghai for a one-night charity event on March 8. The Canadian comedian on stand up in biker bars, writing a one-man show and losing a bet. Jazz, Japanese screamo and SLASH.